After a successful 2017, Somerville College Boat Club (SCBC) is closer than ever to achieving our goal of Headship by 2021 - our centenary. In order to succeed, we need your help to ensure our crews can get the best possible training and experience building up to 2021. The funds raised from this project will grant us access to more professional coaching, tank sessions, weekend training camps, and more. In addition, your generous donations will allows us to maintain our boats to make sure they stay in the best shape possible for our crews. We will also ensure that no-one is prevented from joining SCBC by the cost of membership. 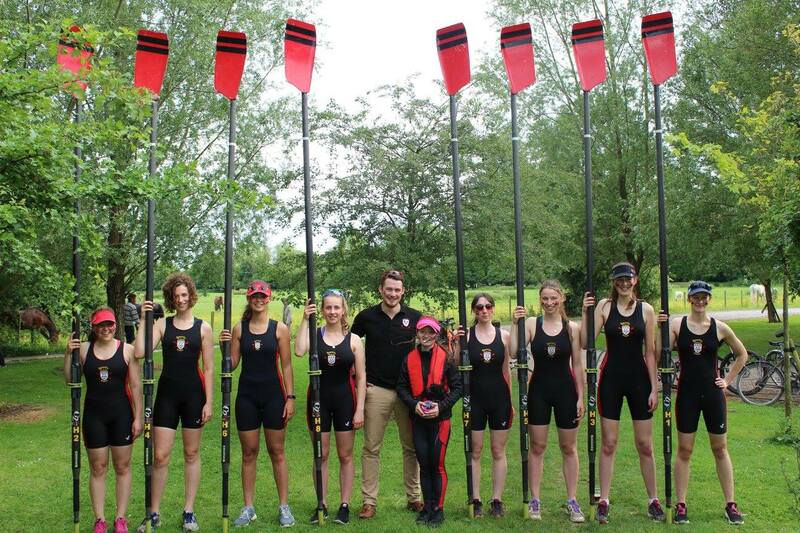 Fundraising will mean that we are able to lower subscriptions (as we currently have the highest membership costs of any college boat club in Oxford), by creating a hardship fund, subsidising membership for those who could otherwise not afford to join us. 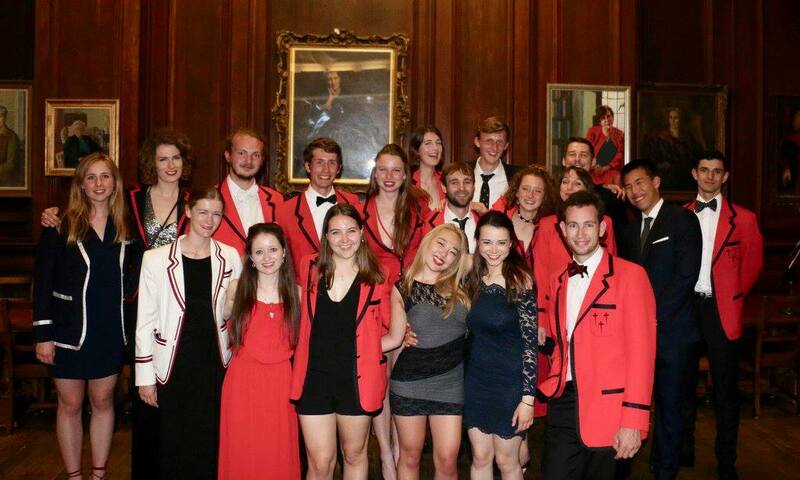 M1 and W1 at the annual Eights Dinner, celebrating a great year, and looking forward to another! Founded in 1921, SCBC is 4 years away from it's centenary. Over the last 100 years (almost! ), SCBC has a fantastic number of achievements under its belt. 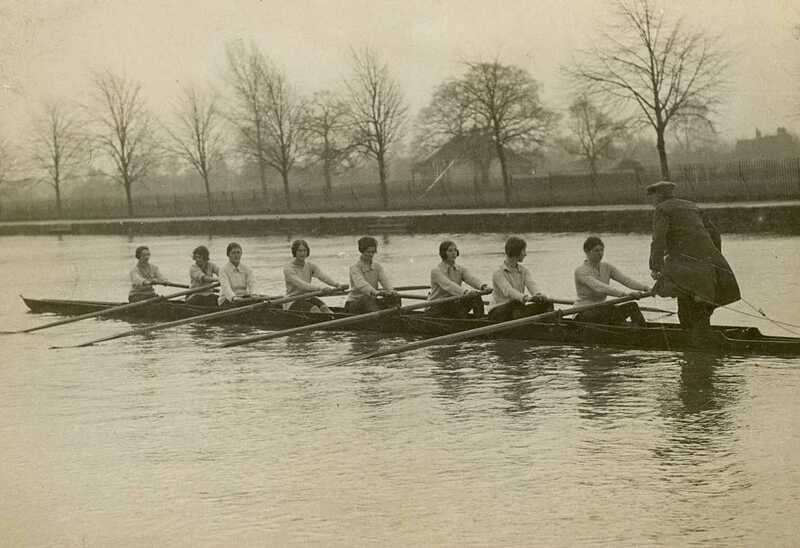 It was not until the mid-1970s that a separate bumps race for female crews was introduced in Summer Eights. 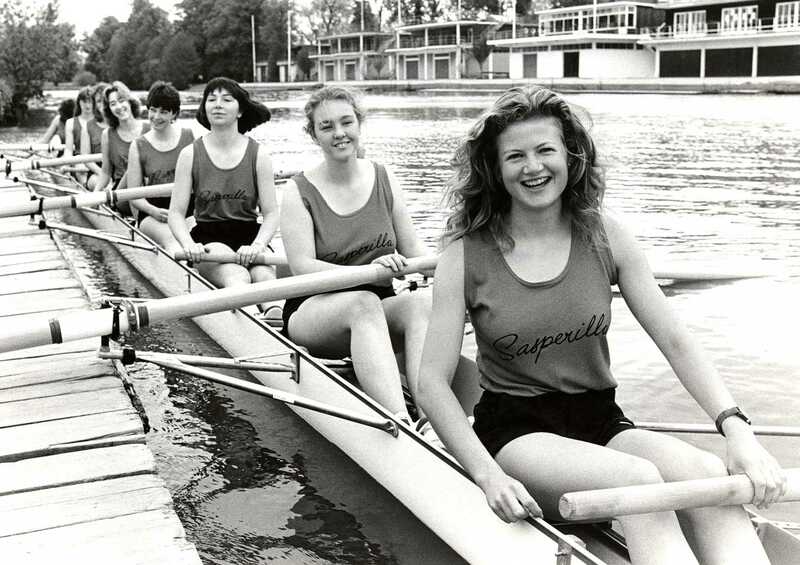 In 1976, 12 women’s boats competed in the first ever division dedicated to women at Summer Eights, and by 1980, SCBC was Head of the River (having had a terrific year in 1979, in which, armed with the first ever boat of their own, Somerville bumped on every day of the competition, moving from the 6th bungline to the 2nd!). To date, we are the most successful women's boat club, with 8 headships at Summer Eights, and our men are steadily rising through the ranks. Our Women's W1 team, after a hugely successful year, are in the top division, meaning winning Headship again is within our reach. By 2021, we want to be able to show that all of our crews proudly stand in the best position possible, carrying 100 years of history on our shoulders and setting it down on the Isis. 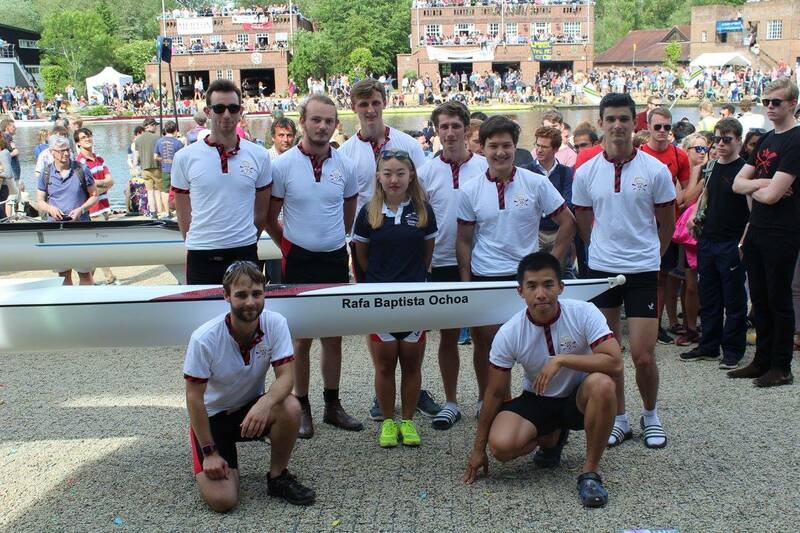 Back in 2015, we successfully fundraised to purchase a new boat for our W1 team, thanks to a huge number of generous donations from those who want to see SCBC achieve our potential.This new boat was pivotal in our gaining such success in subsequent races, and without this generous support, it would have been much harder to achieve as much we have. With 2021 approaching, the next four years are an opportunity for SCBC to build on its previous successes and be the best we can be, using the donations received here to fund training activities and boat maintenance, as well as maximising the club's accessibility to everyone with a passion for rowing. Any and every donation we receive is truly valued and helps us greatly, so, if you prefer not to donate something all at once (or if you're feeling exceptionally generous and fancy doing both! ), you can pledge a regular monthly donation. £10 a month, for example, which is just the price of one cup of coffee a week, will make a huge difference for SCBC, and keep pushing us onwards and upwards. Sessions with professional coaches are crucial for development. This time allows coaches to find flaws in our strokes and techniques and advise on changes to help improve as a crew moving forward. Tank sessions are great for putting what we've learned from coaching sessions into practice within a controlled environment. It allows us the ability to swap people out quickly and try different techniques to find what works best for each race. Weekend training camps give crews the opportunity to truly focus on rowing with uninterrupted coaching sessions. This kind of training excels to run drills and splits in preparation for major races. Being able to afford to attend and compete in external regattas gives crews race experience, something that can't be underestimated in its benefits. Money will also be spent on the repair and maintenance of our boats, including paying for a new cox box; no point in having a great crew if they can't hear the cox! We also want to make sure SCBC is open to everyone with a passion for rowing, regardless of their financial situation, so we will set up a hardship fund to subsidise membership for those who otherwise wouldn't be able to afford membership of SCBC. Generous donations mean generous rewards! Take a look at our list of rewards and keep them in mind when donating! Follow our updates on Facebook and Twitter to see how the fundraising is going! We know we said you don't need to give money to help us, but we'd love it if you did! Every donation brings us closer to our goal and to making our upcoming centenary one to remember! Get a shout-out on our Facebook and Twitter pages! Receive a subscription to our termly digital newsletter! An e-card thanking you for your donation from the captains of SCBC! A signed postcard from the captains thanking you for your donation! The above (signed postcard), plus a thank you video from our crew! The above (signed postcard and thank you video), plus an SCBC pin! All the above (signed postcard, thank you video, and SCBC pin), plus a signed photo of one of our crews from the Eights Dinner in June! Get all of the above, as well as a place at the annual Eights Dinner at Somerville as a guest of the captains! Join SCBC and others at a black tie drinks reception and dinner in Somerville's hall! The first donor to give £4,500 will have the honour of having our new 4-seater named after them! Come Hillary Term 2018, your name could be racing down the Isis!